ForestPlanet is dedicated to reforestation on a global scale. Our mission is to expand the beneficial impacts of trees on both the environment and communities in peril: soil remediation, carbon sequestration, local habitat restoration, enhanced agricultural viability. Planting trees gives both consumers and brands an easily communicated and low-cost way to make their eco-voices heard and dollars count. And “low-cost” means $0.10US per tree. ForestPlanet gives businesses an easy and affordable way to communicate their concern for global issues. We implement cause-marketing campaigns that tie corporate brands to authentic social and environmental action. ForestPlanet channels funds to vetted, experienced, and trusted partners on-the-ground who employ locals to plant trees in areas having the greatest economic and ecological need. For the local communities these partnerships result in increased income security, food security, education, and health care delivery. Please contact us at partnerships@forestplanet.org to learn more. We are grateful for the support of many business partners who helped us plant over 60,000 trees in 2018. These are brands that have decided to be part of the solution and we are proud to work with them. Ecoprint is a full-service, one-stop printing and mailing service provider in the Washington, DC area. Their broad range of services offered include design, digital & offset printing, mailing & fulfillment services, large format printing, signs & banners, promotional products, and wide format printing. Ecoprint has committed to planting two trees with ForestPlanet for each print job completed. Learn more at ecoprint.com. 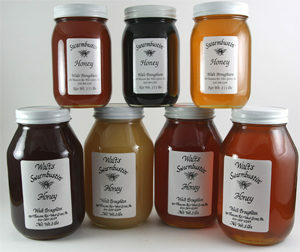 Swarmbustin’ Honey is a family owned and operated apiary located in southeastern Pennsylvania. They are committed to raising healthy bees and supporting other beekeepers that are experiencing stress. Over 150 million acres of pollinator habitat has been lost in the US since 1995, with many millions more acres lost around the world. They have over 500 hives spread over 18 yards, and over dozens of home-grown honey products. They plant one tree for each online order, and give their customers the chance to “plant a tree with that” at check-out. Learn more at 911honey.com. New Hampshire based AutoBeGreen was founded in 2011 and supplies “Environmentally Friendly Automotive Products” to the public via their website and other channels. 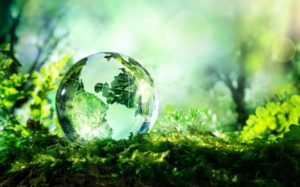 Their criteria for qualifying a product as “green” include high quality, proper packaging, affordability, and practicality. Their main offering is re-refined, or “reclaimed”, motor oil. Used motor oil can be cleaned and filtered for re-use, at a one-to-one ratio, with no loss of viscosity or other quality characteristics. By comparison, a gallon of “new” motor oil is created from 42 gallons of crude oil. Consequently, using reclaimed oil reduces demand for crude oil by a factor of 42-1. AutoBeGreen plants five trees with each online order, and free shipping is available. Learn more at autobegreen.com. 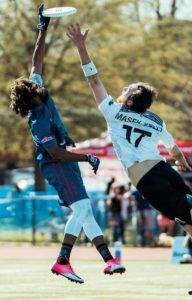 The American Ultimate Disc League was founded in 2012 to increase the visibility of one of North America’s fastest growing sports. The organization is now has 21 professional member teams in 21 cities around the United States and Canada. The sport – popularly known as “ultimate frisbee” – is gaining popularity throughout the country, due to the fast pace of the game and the impressive skill of the home-grown players. In 2018 the DC Breeze was the first team to partner with ForestPlanet, and they pledged to plant one tree for every home game ticket sold. The result was thousands of trees getting planted throughout the ForestPlanet network. In 2019 they are joined by their fellow AUDL teams the Tampa Bay Cannons and the Raleigh Flyers/Radiance. These fine organizations are at the forefront of our “one ticket, one tree” strategy, focusing on sports teams and entertainment artists/venues alike. We look forward to working again with all three of these teams during the 2019 season. Magical Journeys Beyond is an outstanding tour company with the highest standards for guest satisfaction. They are happy to facilitate your next adventure to South and Southeast Asia, with special focus on comfort, reliability, enjoyment, and safety. Their destinations include India, Bhutan, Sri Lanka, Nepal, Tibet, China, Vietnam, Cambodia, Laos, and Myanmar. Other neighboring destinations are also available with our varied resources in numerous countries. Magical Journeys Beyond plants at least ten trees for each and every guest booked on a tour with their company. Learn more at magicaljourneysbeyond.com. Publishing and consultancy 5D Vision has released a new book from author Valerio Zanini: Deliver Great Products That Customers Love. For innovators, leaders, and entrepreneurs, this book explains the step-by-step process of product development through five Dimensions: Discover, Design, Develop, Deploy, and Deliver. The book includes several interviews with startup CEOs, as well as multiple use cases. Illustrated with diagrams, photos and worksheets. 5D Vision plants one tree for every book sold. Learn more at 5DVision.com.